The outer space has never failed to fascinate us. Here are the some more interesting facts about space that you need to know! Unfortunately, solar energy has produced just 1/10 of 1% of the worldwide energy demand due to several factors. Not to mention this type of technology is quite expensive. Nevertheless, demand for solar power has continued to rise. The sun accounts for the most mass of the solar system — 99.8% to be exact! A million Earths are needed to fit inside the Sun. Sounds tricky, doesn’t it? But the truth is that a year in Venus is equivalent to 224.7 days on Earth. However, it takes 243 Earth days for Venus to rotate on its axis for just a single time. The shortest distance known between Earth and the outer space is about 100 kilometers (62 miles). That’s the boundary between Earth and the outer space. Although Mercury is the nearest planet to the Sun, it is not the hottest because it does not have any atmosphere. 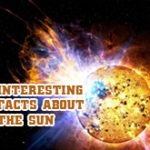 Which means Mercury is hot only during the daytime when facing directly to the sun. Venus is the hottest planet, scorching as high as 500 degrees all day long! It is an optical illusion — when the moon lowers in the sky and brings itself closer to the horizon, it looks bigger than it actually really is. Yes, it’s not just the nine (or eight) planets in our solar system. But outside the solar system, there are actually about 4,800 bodies, with 1,800 confirmed as planets and the other 3,000 with pending confirmation. It varies on the stars on our galaxy — some are 14 billion years old, and some are 18 billion years old, making these stars either older or younger than the universe. When you are in space, its utter lack of gravity makes your spine to straighten up, making you taller. The remaining mass is mostly concentrated on Jupiter. To be exact, a day in Mercury is equivalent to 58 days and 15 hours on Earth. Imagine waiting for a day to end in Mercury! This is quite amazing considering a year in Mercury lasts only 88 days. The outer space’s utter lack of atmosphere means that not a sound can be heard there. Sound waves need an atmosphere to be carried through. Colonize Mars: Can This Dream Become a Reality?